Dee is keenly interested in working with women through the perinatal period. She finds it immensely satisfying to work with these women and help them to feel nurtured, more comfortable and relaxed. Dee is a qualified Remedial Massage Therapist who specialises in pregnancy and post natal massage. In Dee’s experience massage has a profound effect on expectant mothers by helping to reduce stress, anxiety and fatigue. 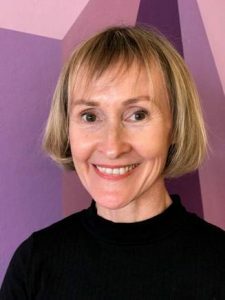 With nearly 10 years experience, she incorporates practices such myofascial release, muscle energy techniques and swedish massage. Dee completed both her Diploma in Remedial Massage and Certificate IV in Aromatherapy at Randwick TAFE. Dee was awarded her Pregnancy Massage Practitioner qualification by Pregnancy Massage Australia. Cath Stuart is passionate about the importance of assisting pregnant clients through the many changes occurring during each trimester and through the post natal period. Cath was drawn to specialise in pregnancy massage as she finds it a privilege to care for clients at this critical time of their lives in a meaningful way. Cath is a remedial massage therapist who is also a qualified nurse with over 30 years nursing experience. Cath qualified as a NurtureLife® Pregnancy Massage Practitioner and a Certified Infant Massage Instructor. A highly regarded leader in the field, Cath is a Pregnancy Massage Lecturer with Pregnancy Massage Australia. As well as her professional expertise, Cath brings empathy, respect and kindness to her work. She offers tailored treatments to meet the individual needs of each client. 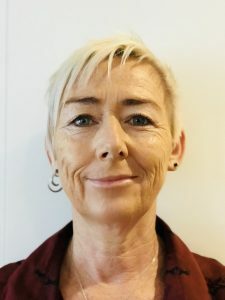 Cath is a Registered Practitioner with the Massage & Myotherapy Australia (formerly AAMT) and a Registered NurtureLife® Practitioner. NurtureLife® Pregnancy Massage is registered by Pregnancy Massage Australia®, providing the most up to date and relevant research in perinatal massage care. NurtureLife® is a holistic perinatal massage therapy method developed by Pregnancy Massage Australia that supports women who are nurturing new life.